Mel Says: their paneer is sooooo good! Indique is an independently owned fine-dining establishment run by a passionate Indian couple who want to bring back the real authentic taste of Indian food to Manchester. 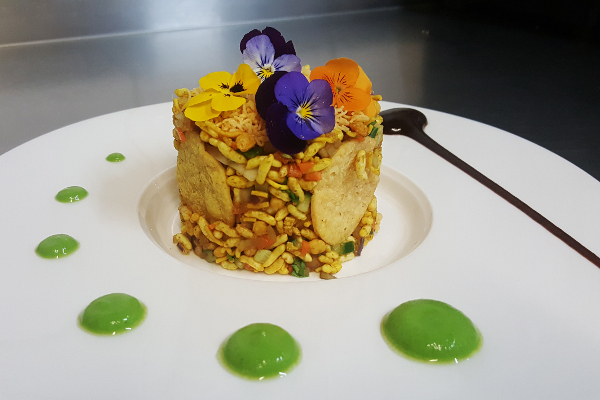 'Indique' is an attempt to re-define Indian cuisine and serve unique flavours from the streets of India. More serious foodies need to take note that this beautiful city is now host to what is its newest and arguably the finest upmarket Indian restaurant, INDIQUE. With beautifully plated dishes and a taste sensation to tempt your tastebuds, there's a reason our restaurant was voted #2 on Trip Advisor's 'Best Restaurants in Manchester'. Located on Burton Road in West Didsbury, Indique is far cry from the typical high street Indian restaurant. Our rustic yet elegant interiors will take you to the streets of Rajasthan (India), which is famous for its royal heritage and hospitality. An array of quality wines, cocktails and other drinks are served from an intimate bar area. We are definitely a very different experience from what you have come to expect from an Indian restaurant and we hope to welcome you soon.